The Rhode Island Council for the Humanities seeks an ​Arts and Culture Research Intern ​to support the Council’s Rhode Island Arts and Culture Research Fellowship. Working with a small, collaborative team, this intern will gain experience with research, digital humanities, creative culture, and community engagement. The ​Arts and Culture Research Intern​ will support the Rhode Island Arts and Culture Research Fellowship through community contact, research, and writing in the international forum of Wikipedia. This position reports to the Rhode Island Arts and Culture Research Fellow. The Rhode Island Arts and Culture Fellowship is designed to research, write, collect and connect stories of significant visual artists, performers, and writers past and present who have lived in Rhode Island to inform and inspire. The intern will be eligible to receive a stipend and course credit, if applicable. Click here to learn more about the Rhode Island Arts and Culture Research Fellowship. 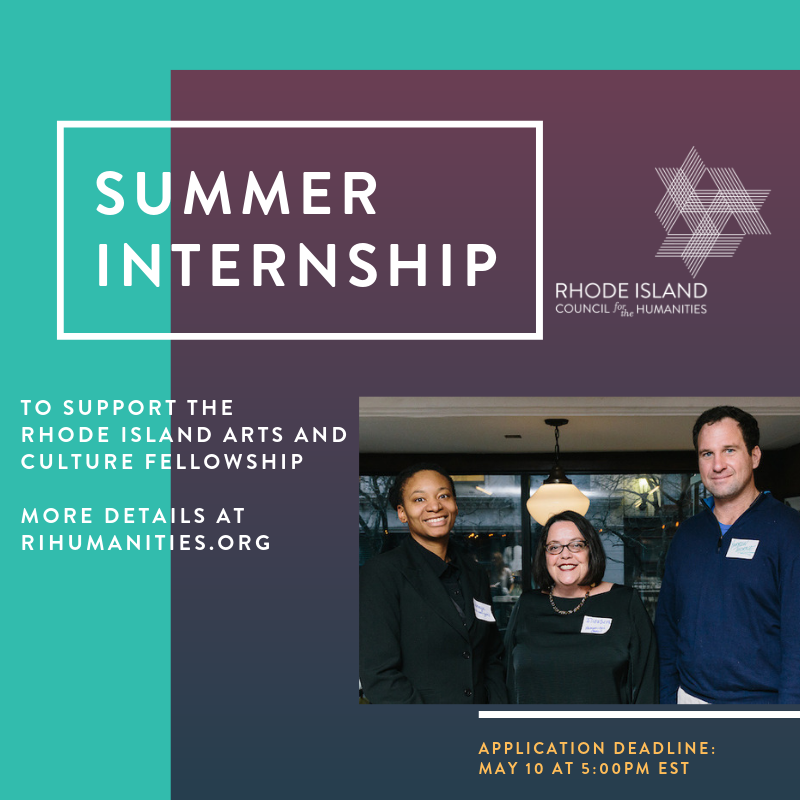 Please send resume to ​scott@rihumanities.org​ by ​5:00 pm EST on May 10, 2019​, with the subject “Arts and Culture Research Intern Application.” Please also provide a brief paragraph describing your interest in the body of the email. Click here for a PDF of the internship listing.